Norman L. Smith is an experienced and well respected trial attorney handling a wide variety of civil litigation cases, estates and trusts litigation, business disputes, and professional liability matters. He is often engaged by Maryland lawyers in matters involving attorney discipline and malpractice. As an appellate lawyer he has briefed and argued state and federal cases resulting in over 40 reported opinions. For over 20 years, he has served as an adjunct professor at the University of Baltimore and University of Maryland Schools of Law. Represented the widow of novelist Tom Clancy in a dispute over construction of the late Mr. Clancy’s Will, arguing the case in the Maryland Court of Appeals, where the Maryland high court ruled in favor of Mr. Smith’s client. Bandy v. Clancy, 446 Md. 218 (2016). Currently represents the Plaintiff in an ongoing copyright dispute in Federal Court over the rights to the fictional character “Jack Ryan,” created by the novelist Tom Clancy. Represented a young software designer against an international software company, winning a $5.2 million jury verdict, which he successfully defended on appeal. Altmayer-Pizzorno v. L-Soft International, Inc., 302 Fed. Appx.148 (4th Cir. 2008). Where the trustee of a trust breached the trustee’s fiduciary duty to the trust’s beneficiary, Mr. Smith secured the trustee’s removal and distribution of the trust assets to the trust beneficiary. Represented the plaintiffs in a constructive trust case involving undue influence practiced by the defendants upon an elderly victim, successfully turning aside the defendant’s invocation of the “probate exception” to federal jurisdiction and achieved a settlement that returned hundreds of thousands to the next of kin. Libonati v. Ransom, 664 F. Supp. 2d 519 (D. Md. 2009). Where the trustee of a trust breached her fiduciary responsibilities to the disabled beneficiary, achieved removal of the trustee and award of attorney’s fees for the client. Successfully represented a Maryland couple in their challenge to a nursing home’s contract prohibiting the residents’ pursuit of Medicaid “spend down” planning. Oak Crest Village, Inc. v. Murphy, 379 Md. 229 (2004). Authored amicus brief on behalf of the National Academy of Elder Law Attorneys, which was quoted at length by the Maryland Court of Appeals in Walton v. Mariner Health of Maryland, Inc., 391 Md. 643 (2006)(holding that nursing home has no private cause of action against nursing home resident’s agent for cost of the resident’s care when agent negligently failed to apply for Medicaid benefits). Represented a number of Maryland Bar applicants through the application process and in hearings before character committees, the Board of Law Examiners, and the Court of Appeals. Representative cases include In re Hamilton, 2017 LEXIS 737(November 6, 2017)(client admitted to the Maryland Bar after brief and argument before Maryland Court of Appeals); In re Stewart, 430 Md. 4 (2013)(successful representation of bar applicant before the Court of Appeals); In re Alonso, 372 Md. 136 (2002)(bar applicant admitted over unfavorable recommendation of character committee). Mr. Smith has appeared on many continuing legal education programs and at the Maryland Judicial Institute, speaking on legal ethics, professionalism, avoiding malpractice and disciplinary violations, fiduciary litigation, Medicaid litigation, and competency issues in litigation. Mr. Smith has been qualified and has testified in state and federal courts as an expert in the areas of attorney professional responsibility, fiduciary duties of personal representatives and trustees, and conflicts of interest regarding lawyers, trustees and personal representatives. Mr. Smith is a 1985 graduate of the University of Maryland School of Law, where he was Co-Chair of the Moot Court Board and recipient of the William P. Cunningham Award. 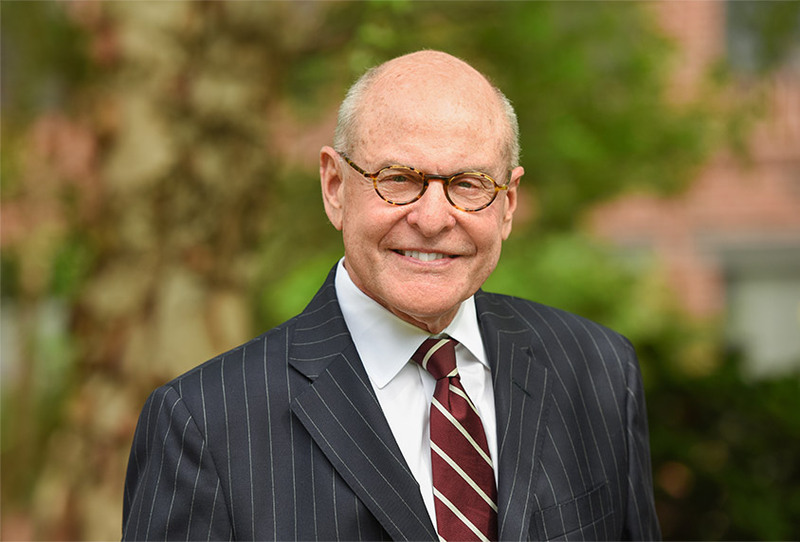 After graduation, he served as Law clerk for Maryland Court of Special Appeals Judge Edward O. Weant, Jr. and then as an Assistant Attorney General for the State of Maryland, where he investigated and tried complex white collar criminal cases. In a previous career, Mr. Smith, an undergraduate of the New England Conservatory of Music, served as principal trumpet in the New Orleans Philharmonic, the New Jersey Symphony, the New York Chamber Orchestra (with which he is a recorded soloist), the Mostly Mozart Festival Orchestra at Lincoln Center (N.Y.), the Casals Festival Orchestra, and as guest principal trumpet with the New York Philharmonic. As an elected representative of the musicians at New York’s Lincoln Center, he negotiated several musicians’ master contracts, sparking an interest that took him to law school and a legal career. Mr. Smith has been qualified and has testified as an expert witness in areas of attorney professional responsibility, duties of trustees, and conflicts of interest regarding trustees and personal representatives.